As the financial industry grows and new innovations hit the market, investors are able to gain exposure to various market strategies with efficient and cost-effective investment tools. 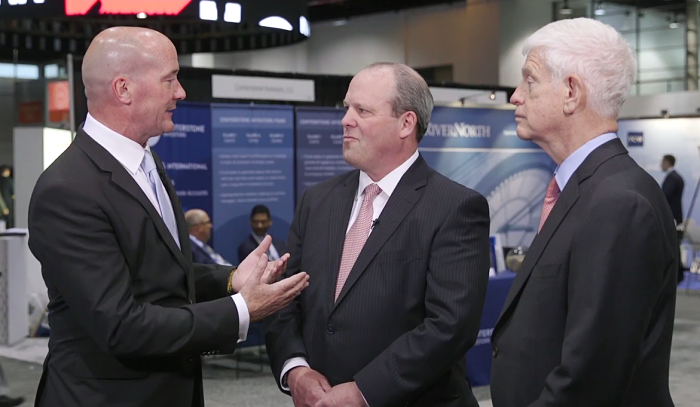 ETF Trends publisher Tom Lydon spoke with Stephen Clarke, President of NextShares Solutions, and Mario Gabelli, Chairman and CEO of Gamco Investors, at the 2017 Morningstar Investment Conference in Chicago April 26-28 to talk about market innovations. For instance, Eaton Vance has a launched a number of products under its NextShares brand, covering a relatively new structured product called exchange traded managed funds, or ETMFs, a hybrid of what some consider the best parts of actively managed mutual funds with an exchange traded fund-esque structure.